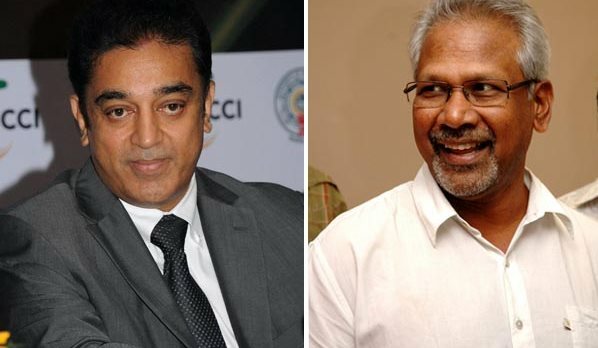 Contrary to the reports, actor Kamal Haasan, who is busy shooting for Tamil thriller "Thoongaavanam", is not teaming up with ace filmmaker Mani Ratnam for a project, a source said. "Nobody is sure where this rumor came from. Kamal sir is busy shooting for his next film, and he's not teaming up with Mani Ratnam as of now," a source close to Kamal Haasan told. Haasan and Ratnam had previously worked in critically-acclaimed Tamil crime-drama "Nayagan", which was even remade in Hindi as "Dayavan". Mani Ratnam, who is basking in the success of latest hit, "O Kadhal Kanmani", is reportedly going to work with Dhanush in his next. Haasan, on the other hand, is awaiting the release of Tamil thriller "Papanasam".